Today I bring to you something you may have already heard of. Or maybe not. I confess, being from the West Coast, I had not even heard of Momofuku Milk Bar until my boyfriend told me about it and bought me the cookbook. Now I've been indoctrinated into the world of crack pie, and oh man, it really is that good. Yes, this is the infamous Crack Pie straight from Christina Tosi's recipe book. Or, you know, whatever she decided to put in the cookbook, because who can be sure what really goes on in the Milk Bar kitchen? Anyhow, this pie really is pretty crazy addicting, which is why I suppose it's called crack pie to begin with. 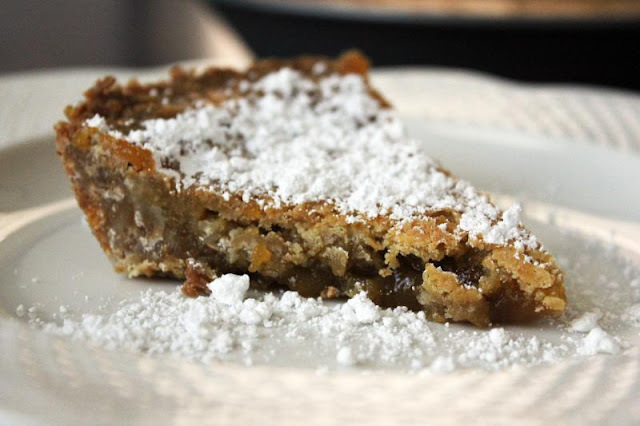 It's sort of like a pecan pie without the pecans, basically just a gooey, sugary pie with a sweet, crunchy crust that is just as yummy as the filling itself. When you're baking it, you're wondering how it's going to turn out, because it just looks like a bunch of eggs and sugar and how can that work? Well it does! But this isn't a super easy recipe, you know. It does take some time to put together if you're going to make the whole thing from scratch. 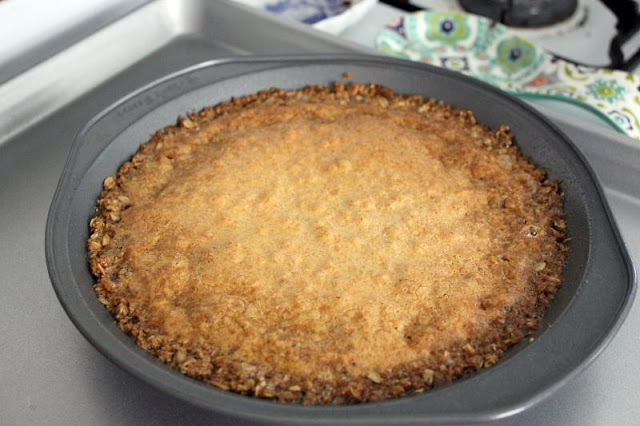 First, you have to make the oat cookie for the pie crust. Then you've got your filling, then you put that all together. And on top of all that, once it's baked, you have to wait another four hours until you can eat it! Oh man. 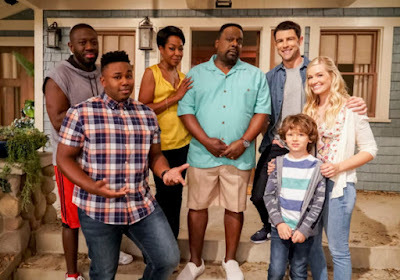 No one likes waiting for delicious pie, but it will be worth it. I actually halved the below recipe, as I did not think having two of these pies around would be a great idea. In the original recipe, it also calls for this stuff called corn powder for the filling, which is basically just food processer-ed freeze-dried corn, except freeze-dried corn is not very easy to find, so I decided to use flour instead, and you know what? It turned out just fine. Not that I have a real crack pie to compare it to side-by-side, but this is the next best thing to going all the way to New York City! 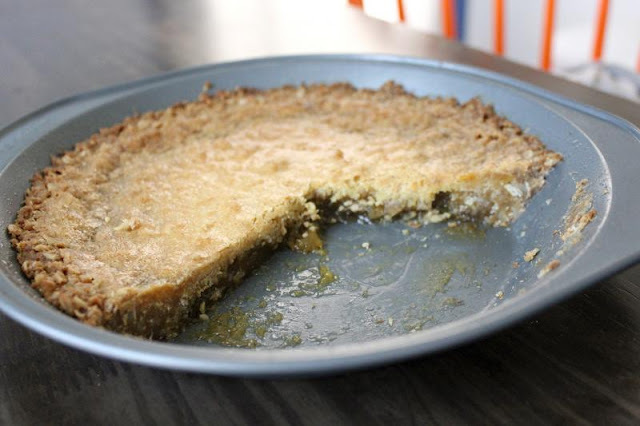 Christina Tosi’s Crack Pie from the Momofuku Milkbar Cookbook. Preheat oven to 350°F. In a food processor, or with your hands if you don't have one, combine the oat cookie, brown sugar and salt until it is broken down to a wet sand. 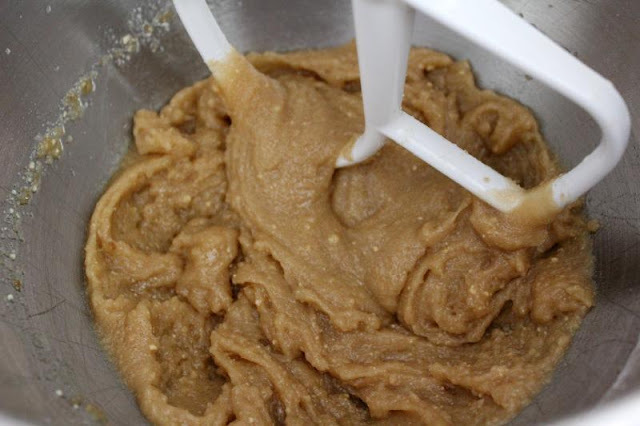 Transfer those crumbs to a bowl with your melted butter and knead until the mixture is moist enough to form a ball. If necessary, you can add some more butter. 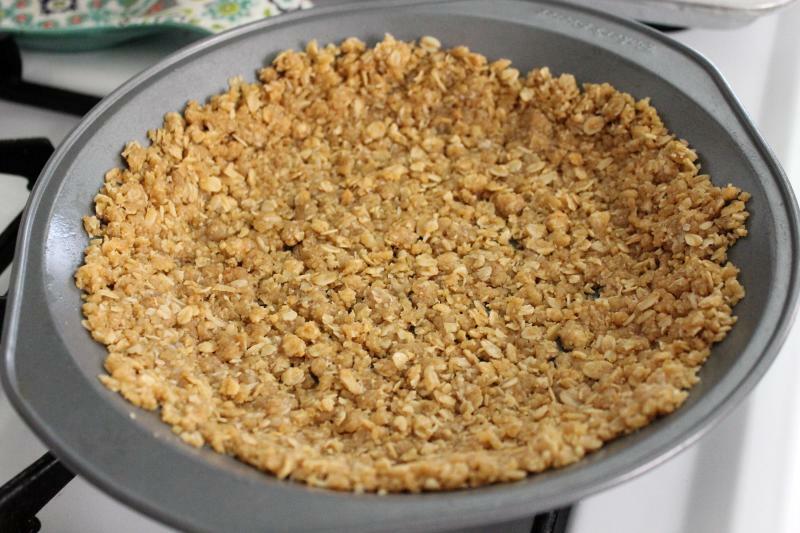 Divide the oat crust evenly between the two pie pans (use 9 inch rather than the 10 inch she calls for in the book). Using your fingers, press it down to cover the bottoms and up the sides of the pans. Put those both on a sheet pan, divide the filling evenly between the two, until they are about 3/4 full. Bake for 15 minutes, until they are a golden brown color, but still very jiggly. Reduce oven temperature down to 325°F and cook for an additional 5-15 minutes. I say that big of a difference, because the original recipe calls for 5 minutes, but I had to keep it in for more like 15 to get it to stop being jiggly around the edges. Take the pies out of the oven and transfer to a wire rack. Let them cool down to room temp, or you can wrap them up and stick them in the freezer for a bit to get them cool faster. Then stick them in the freezer for a few hours to condense, then transfer back to the fridge for at least an hour to get them ready to eat. Sprinkle some powdered sugar on there and dig in! Preheat oven to 350F. 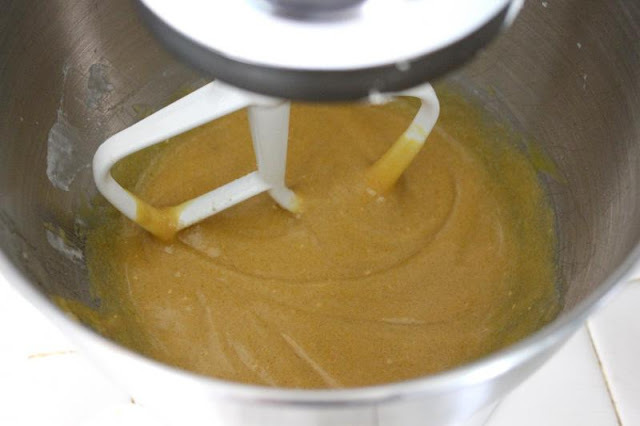 Cream the butter and sugars with a mixer on medium-high for about 2-3 minutes, until fluffy and pale yellow. Scrape down the sides, and on low speed, add in the egg yolk. 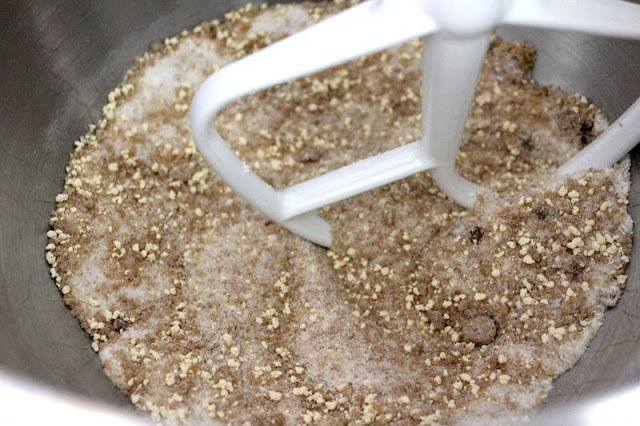 Increase the speed back to medium-high and beat for 1-2 minutes until the sugar granules dissolve. 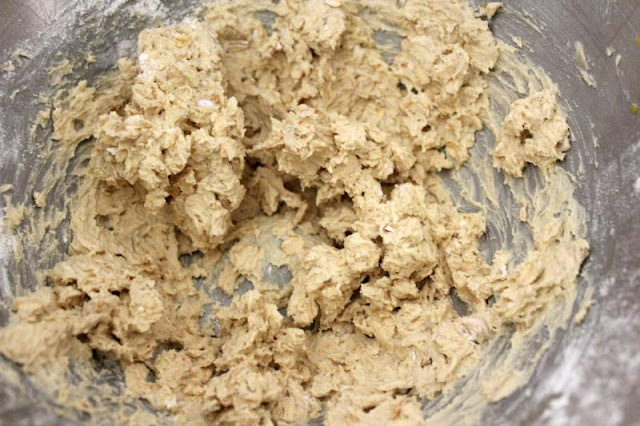 On low speed, add in the flour, oats, baking powder, baking soda, and salt. Mix for a minute until it all comes together. It will be slightly fluffy. 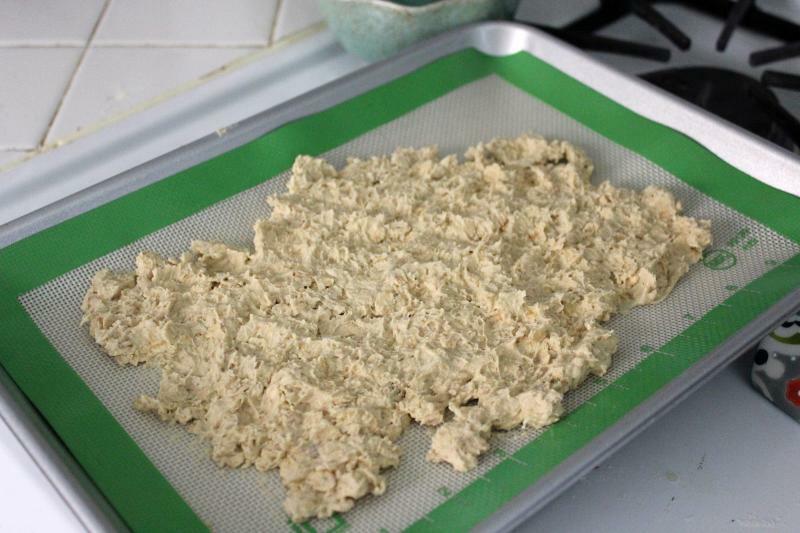 On a Silpat-lined sheet pan, spread out the dough until it's about 1/4 inch thick. 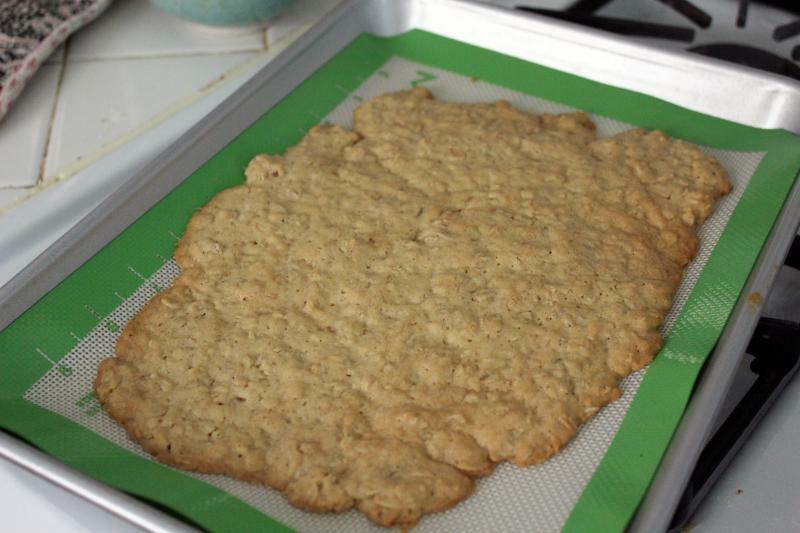 Bake for about 15 minutes until it looks like a giant cookie - browned around the edges. Cool completely before using in the above. Generally you can make the filling and by the time you're done, it will be cool. 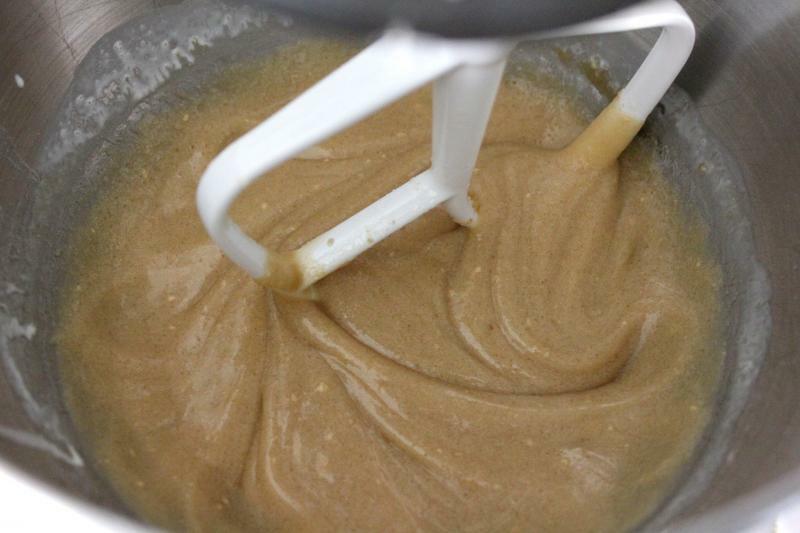 Using a standing mixer fitted with the paddle attachment, beat together the sugar, brown sugar, milk powder, flour, and salt on low speed until evenly blended. Add in the melted butter and mix it for 2-3 minutes until all dry ingredients are moist. Add in the heavy cream and vanilla and continue beating on low for 2-3 minutes until all white streaks are gone. Scrape down the sides of the bowl with a spatula. Beat in the egg yolks until they are just combined - don't aerate it, make sure it's on low. Use the filling right away, or you can stick in the fridge until you're ready, up to one week. The oat cookie mixture all together. I forgot to take photos of the steps, but that's okay! Spread that over a silpat-lined baking sheet. Bake that at 350F for about 15 minutes until it looks like so. Let that cool completely while you make your filling. All your dry ingredients get mixed together until evenly distributed. Mix in your melted butter until it's all moist. Mix in your heavy cream and vanilla until all white streaks are gone. Then add in your egg yolks until it's nice and even and glossy. I transferred to an airtight container into the fridge for a bit while I made the pie crust. 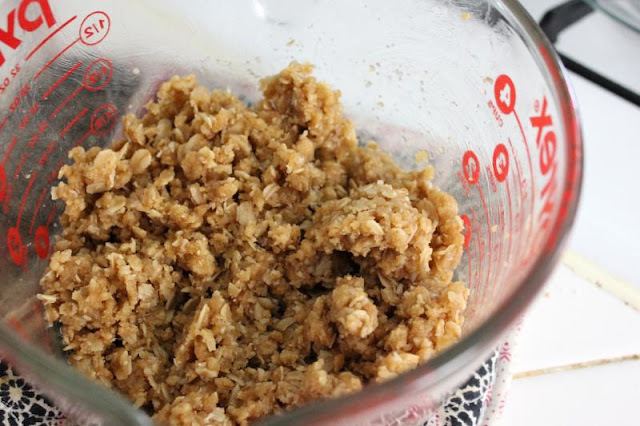 Take your oat cookie and crumble it up with the brown sugar and salt until it's like a light sand, then add in your butter and mix up until it can be formed into a ball. Press that into your 9 inch pie pans. It will NOT cover 10-inch pans, so don't try. You maybe can't tell, but this is extremely thin. 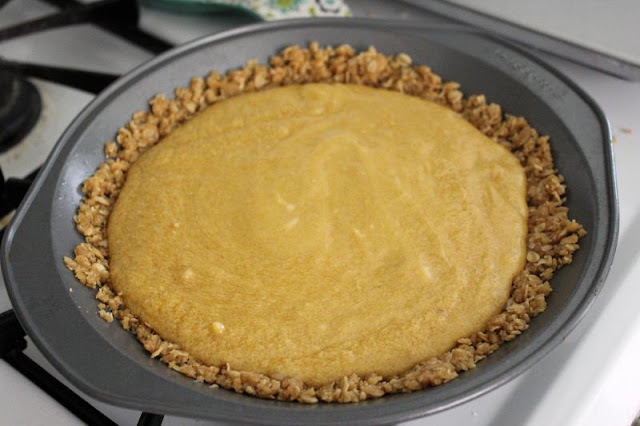 Divide your filling between your two pie tins until they are 3/4 full. Bake at 350F for 15 minutes, then reduce temp to 325F and bake for additional 5-15 minutes until the sides are no longer jiggly. It will come out looking something like this. Let this cool to room temp, then cover and stick in the freezer for a few hours. After that, stick back in the fridge for another hour. 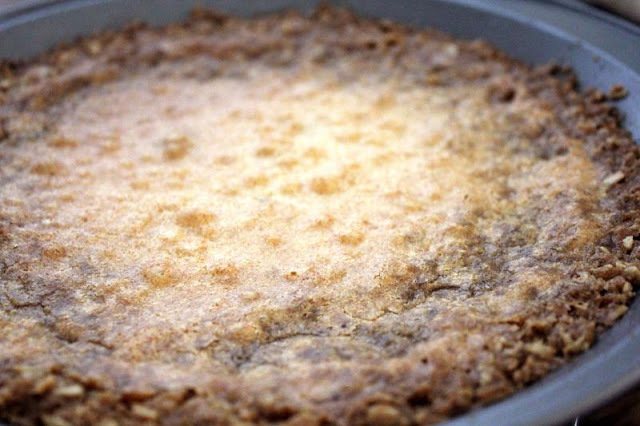 This pie looks unassuming, but you will NOT be able to eat just one piece.